The google adsense account is one of the greatest benefit must bloggers or webmasters are aiming or already have it. This tutorial is being created for those that choose to quit blogging and so many reasons for the task like change of domain name or company name as usual and the google adsense has lot of features like linking if google adsense to YouTube and many more. With Google adsense you make money legally online with cheating on others, it only requires hard work and learn how to do keyword research and also link building and maintaining your blog or website audience with quality content and blog or website design. So today am going to give you full tutorial on how to transfer a google adsense account. 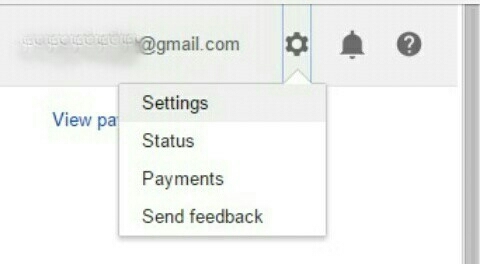 You need to login to google adsense account then move your arrow to the top right corner and click on "account settings". Now move your mouse down to the personal settings and click on the "edit" button. Then click on "edit password" in google adsense tab and then a new window will pop up. Now you need to select the "change " option below "email addresses and username". You need to insert your "new email" and your "existing or current password " to confirm the change. Finally select the save Email addresses tab and the email address will be successfully changed. Note: This tutorial is for those that are not using Gmail. With this tutorial you can give out your google adsense out, don't forget to drop your comment below thanks.